An ArthurPix™ Creation Copyright © Arthur P. Johnson All Rights Reserved. for reproduction rights. Depending upon use, your fee may be modest or free. 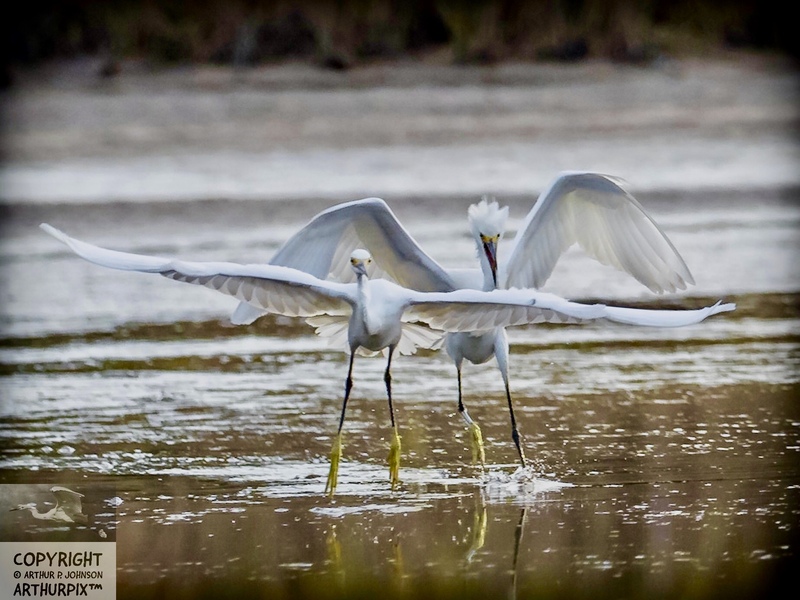 Two juvenile Great Egrets, wings extended, appear to be standing tiptoe on the surface of a salt marsh pool.